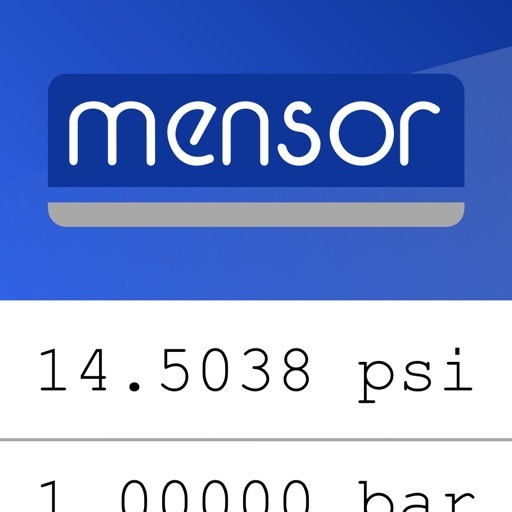 Mensor Units utilizes standard factors to convert pressure from one unit to another for both metric and imperial units of measurement. Need to convert pounds per square inch (psi) to bar? 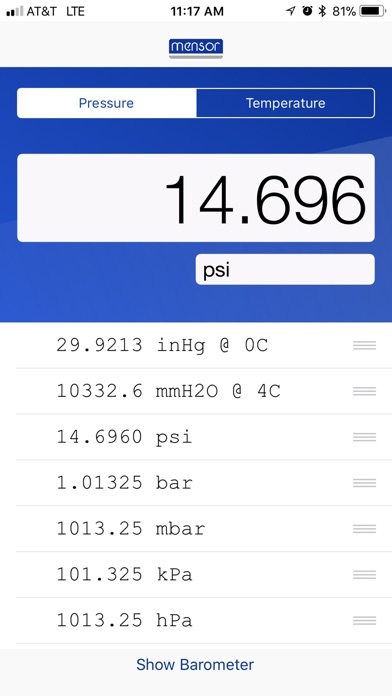 Simply enter the pressure value, the unit you’d like to convert from and the unit you’d like to convert to, and the answer will be calculated and displayed immediately! 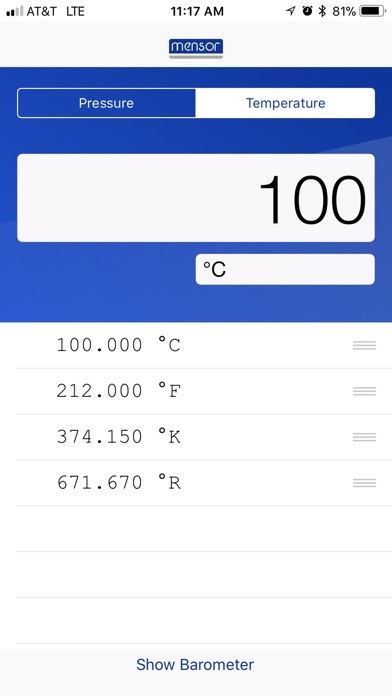 You can also easily convert temperature in degrees Fahrenheit, Celsius, Kelvin and Rankine. Mensor Units even allows you to customize the unit order so that your favorites are conveniently displayed on top. That’s not all! If your device is equipped with an internal barometer, Mensor Units displays the pressure reading in a pop-up window on the bottom of the screen. Simply click "Show Barometer" to see the reading in the currently selected unit.